Those who can’t handle the truth, try to silence those who speak it. were murdered on Tuesday morning, September 11th, 2001. It’s been ten years since I wrote this post, and my feelings haven’t changed. I post this today in memory of my friend and all of the victims of 9/11/2001, both those seen and unseen. try to silence those who speak it. Did I tweet anything untrue? Did I tweet anything that was “unhealthy”? I tweeted the truth, with .gov data sources to prove what I said was true. I tweeted respectfully, though boldly, challenging people to retweet the verifiable truth that I had shared with them. The algorithms put in place by Twitter decided that my voice needed to be silenced. So, what did I say that was deemed so dangerous that I needed to be silenced? If you go to that tweet, and look at the replies, you won’t see anything from me. Because I have been shadowbanned. Is speaking the truth “unhealthy”, Jack? Is speaking the truth allowed only if you limit to whom you speak it? is that so “unhealthy” that Twitter has to silence your voice? …but, certain tweets are still shadowbanned and made invisible to the intended audience. Go to https://twitter.com/BarackObama/status/1024691324933562369 and scroll down through all of the responses, until there are no more left to show. Then search the page for my id, “ittrp”. You won’t see my replies because they have been shadowbanned. Now, go to https://twitter.com/ITTRP/status/1026607040934944769. You’ll only see that tweet if you already have the direct URL, but it’s worse than that… that tweet itself is a reply to another tweet of mine that is also being shadowbanned. That tweet in the middle is only shown when logged in as me. It is hidden from everyone else. I did not say anything untrue. I did not say anything racist, hateful, “unhealthy”, etc. I said things that are demonstrably true. 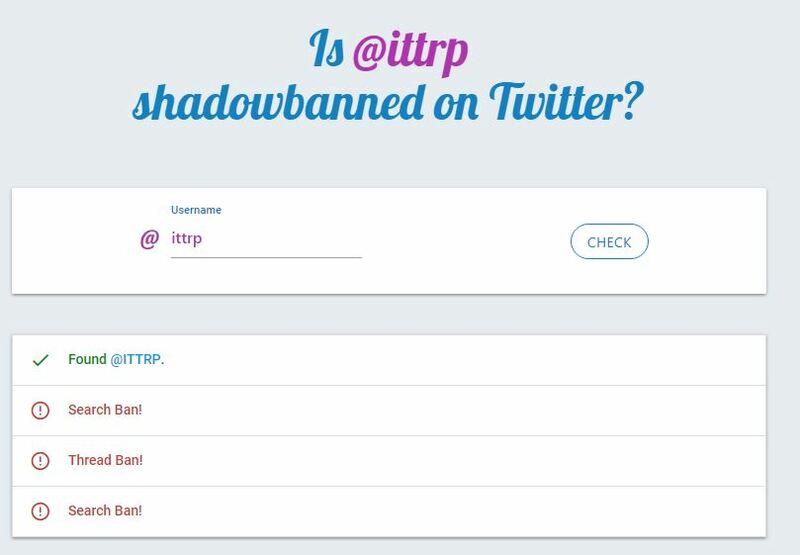 And Twitter’s algorithims are shadowbanning my content, still, even though they have figured out how to fool shadowban.eu/ittrp into showing all green check marks for my account. It’s been eight years since I wrote this post, and my feelings haven’t changed. Deficit was 1.1% of GDP. I just gave 11 #FACTS to prove economy is #WorseNow than when @GOP last held the House, Senate, and Presidency. nearly every measure of our economy was better than it is now. **ALL** job loss months came with Pelosi, Reid & Obama in majority party. of any @POTUS in #BLSdata history! The WORST Bush month was better than the BEST Obama month! It’s been seven years since I wrote this post, and my feelings haven’t changed. then you’ve been bamboozled by Barack Obama! 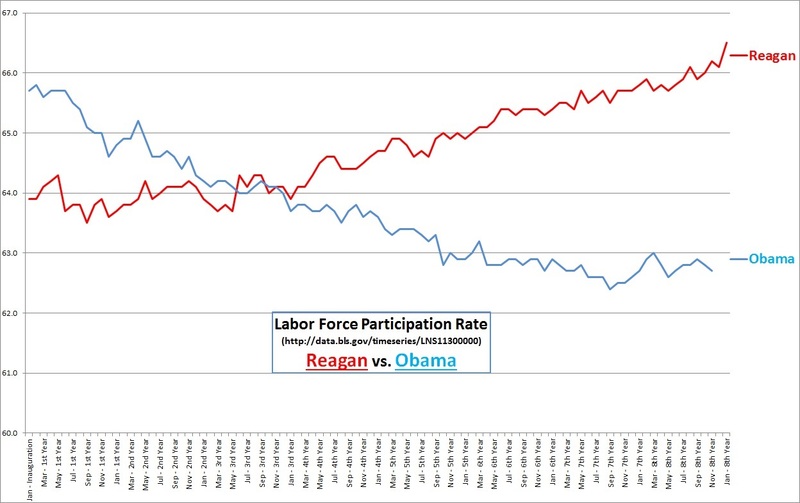 “Not in Labor Force” ↑ 13.5 Million! 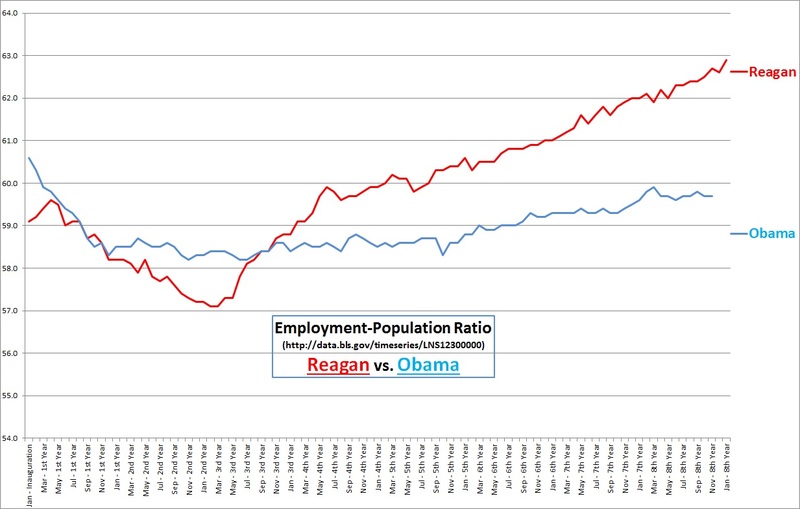 the WORST under Bush was better than the BEST under Obama! which hit an ALL TIME HIGH of > 94 MILLION! The WORST record of any @POTUS in @BLS_gov #BLSdata history! The Longest Streak of SUB-60% Employment since JANUARY 1979!!! @BarackObama’s average employment % is worse than his last 5 predecessors, including Carter! The WORST record of CHANGE in #Women’s LFPR in @BLS_gov #BLSdata history! **ALL** job loss months came underSpeaker @NancyPelosi & Maj. Leader @SenatorReid, and while Barack Obama, Joe Biden, Hillary Clinton, John Kerry, and the rest of their Democrat peers were all part of the Majority Party! then ≈ tripled deficit AGAIN in 2nd FY (2009)! From 1.1% to 9.8% GDP! It is HIGHLY dishonest to blame Bush for FY 2009 deficit, and use that as baseline for “deficit reduction” claims. I agree with “My Body, My Choice”. and YOUR body was never HER “choice”. OK, Speaker Pelosi, How Did the DNC Certify Obama's Eligibility? "Comprehensive Analysis of Obama LFBC PDF File"